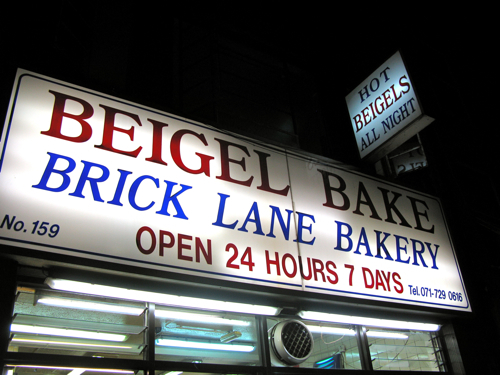 This is the ultimate East-end midnight snack. Period. p.s. their mightily hot mustard and super juicy gherkins are a must. 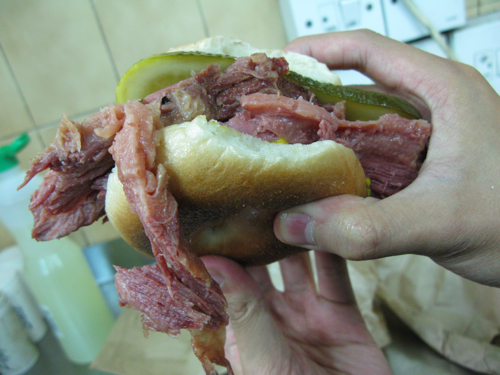 Beigel Bake’s salt beef bagel is one of the things I miss most since leaving London, I love how their mustard is so fiery hot that it makes you sneeze and cry at the same time. One is never enough though but two seems greedy. Indeed… they always seem to purposefully put just a little bit too much mustard to bring on the tears but i think thats what totally makes it! Thanks for stopping by. Was just reading your Noma post and am missing Nordic food already (was there last summer and it was probably one of the places that inspired this blog in the first place).